EK-FC GeForce GTX FE is a high-performance full-cover water block for multiple NVIDIA® GeForce® GTX and Titan X Pascal based graphics cards. This water block directly cools the GPU, RAM, and VRM (voltage regulation module) as water flows directly over these critical areas thus allowing the graphics card and it's VRM to remain stable under high overclocks. 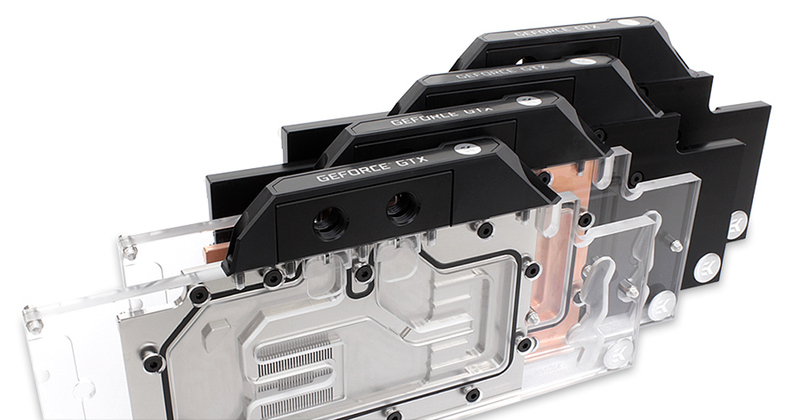 EK-FC GeFroce GTX FE water block features a central inlet split-flow cooling engine design for best possible cooling performance, which also works flawlessly with reversed water flow without adversely affecting the cooling performance. This kind of efficient cooling will allow your high-end graphics card to reach higher boost clocks, thus providing more performance during gaming or other GPU intense tasks. Moreover, such design offers great hydraulic performance allowing this product to be used in liquid cooling systems using weaker water pumps. The base of the block is made of nickel plated electrolytic copper while the top is made of quality POM Acetal material. The sealing is ensured by quality rubber washers. Screw-in brass standoffs are pre-installed and allow for safe, painless installation procedure. G1/4" threaded fittings can be used on both sides of the FC terminal. 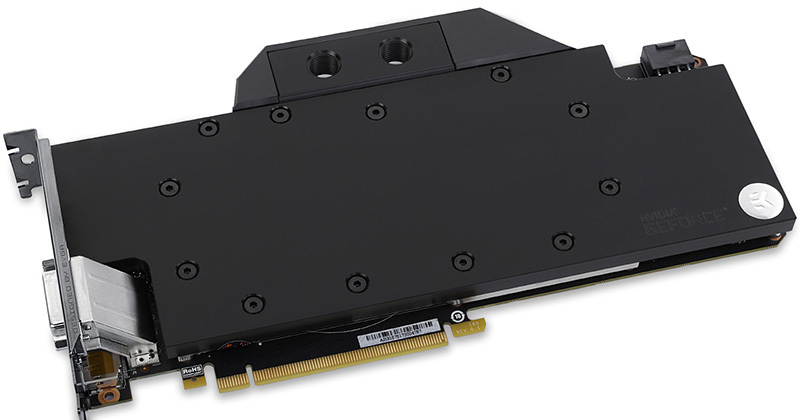 Up to four EK-FC GeForce GTX FE water blocks can be used on a single ATX form factor motherboard by using EK-FC Terminal (DUAL, TRIPLE or QUAD type) system or other means of interconnectivity. Please note that EK-FC Bridge & Link system is not compatible with this water block.